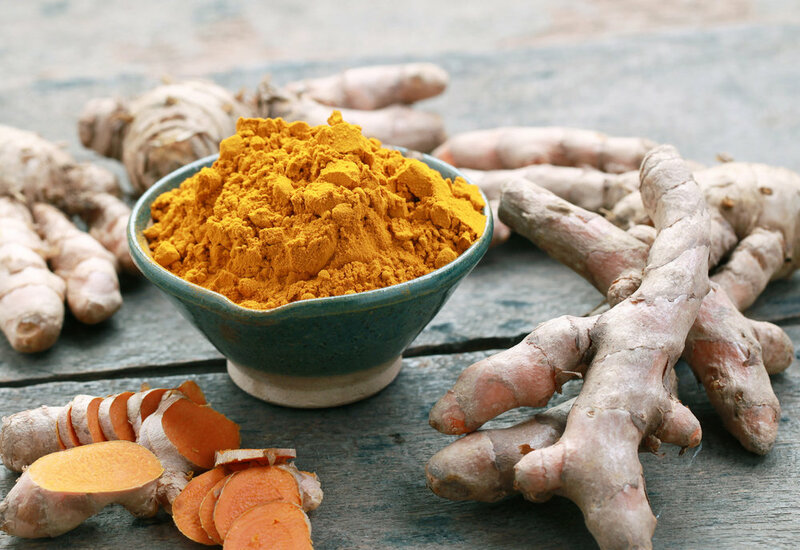 There are several ways to consume turmeric such as powdered form, capsule or pill and of course you can peel and use the turmeric root several ways. Tumeric is fat soluble so it should be consumed with some sort of fat. Black pepper should also be taken with turmeric in order to help elevate the curcumin levels found in it. Curcumin is a compound in turmeric that gives it the powerful anti-inflammatory and anti-bacterial properties. As with any thing we ingest there could be possible side effects and turmeric is no different. The good benefits definitely outweigh the bad benefits however you should always take into account your personal journey into health and wellness and make sure that you do the research and talk to your healthcare professional before taking any kind of supplement. Chaga (Inonotus Obliquus), is a parasitic fungus that grows on birch trees in the northern hemispheres such as Russia, North-East Europe and Korea. It can also be found in Some Northern States of the US and the Canada region. 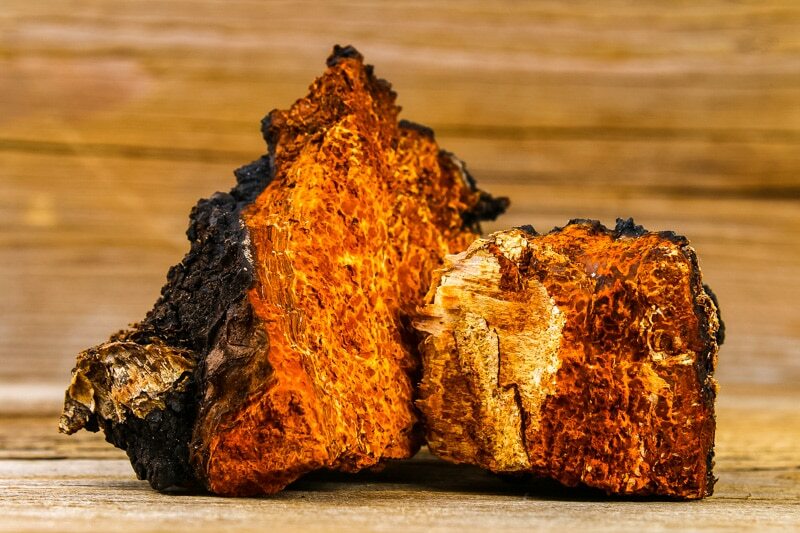 Chaga appears to look like burnt coal but it is packed with anti-oxidants. It’s dark burnt look comes from its high melanin count but deep inside it has a yellowish-orange color. It can take up to five years for Chaga to fully develop so to get the highest levels of nutrients it is important to get it from a source that harvests it in the correct way and in the ideal conditions. You also want to look for companies that use sustainable harvesting practices. HOW DO I USE CHAGA? Chaga can be consumed in several ways but the most popular is as a tea or tincture. You can also purchase it in a capsule or a powder form. WHAT? THERE ARE SIDE EFFECTS? Although Chaga has a long list of benefits, a review from Memorial Sloan Kettering Cancer Center in New York showed that Chaga mushrooms may increase the effects of anticoagulant medications such as aspirin and warfarin. This can elevate your risk for bleeding and bruising. Chaga mushrooms should not be used when taking intravenous applications of glucose and penicillin. If you are pregnant or lactating, consult your healthcare provider prior to taking. Be sure to store Chaga unopened, or opened in a cool, dark and dry place. There have been and always will be myths about working out and strength training. One fact that is not a myth is that it is one of the best things you can do to take care of your health and appearance. Here are some myths about working out and strength training that could have you missing out on reaching your best results. Muscle Mass is actually your best friend against putting on that excess fat. A pound of muscle can burn between 10-20 calories a day while you enjoy your favorite shows. Strength training causes a growth in muscle mass which helps to burn more fat. Of course strength training helps you burn fat and gain muscle, but being bulky isn’t the only option when it comes to weight training. Women actually have a more difficult time getting bulky due to their lower levels of testosterone. Becoming bulky for a women is something that, more often than not, must be specifically focused on and dedicated too. Strength training is for ALL people and can actually benefit older people more than younger people. Strength training can improve balance, coordination, flexibility and can help decrease the risk of osteoporosis and much much more. Don’t let things you hear about working out detour you from becoming your best most healthy self. Contact a reputable company or personal trainer to help you figure out the truth about what will help you reach your personal goal. It is a misconception that if you run for miles and squat like there's no tomorrow you cam burn off the donuts, pizza and ice cream. Sadly, you can exercise off a bad diet. When people have become overweight it’s because they don't exercise enough and eat too much. The truth is, it is about maintaining a good balance with a 30-60 minute workout 5-6 days a week and eating nutritionally dense food items. I know that it's easier said than done but why fill your body with crappy food after an hour of hard work in the gym? Your body will feel much better eating brown rice, spinach, and fish instead of fries and a double cheeseburger. Although you might be inclined to "reward" yourself with sweets after a workout, the real reward will be fueling your body with healthy and nutritional foods. After all, the the high of eating sweets only lasts until your done with your chocolate bar and the nutrients gained from healthy food will improve your overall health for the long run! Physical fitness refers to a set of attributes which enables an individual to be physically active. Being physically fit enables you to move more easily, meet the physical demands of everyday living and respond positively to increased physical demands under stressful conditions. One of the best and most effective ways to get physically fit is Resistance Training. Resistance training is when any type of resistance is used to gain muscle strength and endurance during moderate to vigorous physical activities. Building strength and muscle tone doesn’t necessarily mean bulking up. This is going to tighten up your arms, legs, and core making them look much more lean and defined. Don’t focus so much on the scale, resistance training will help you lose the fat while also building your muscle. So if you notice you're not losing the weight fast enough just remember you may be building muscle which will add some weight in a positive way. The real question is, what’s the best way to feel good about myself? Resistance training, mixed with a healthy diet, will help to tone your body, strengthen your core, lose that excess fat and feel great! Don’t wait. Start your journey to becoming more fit today! How much integrity do you have for your health? According to the dictionary, integrity is "firm adherence to a code of especially moral or artistic values." In short, doing the right thing simply because you know it’s the right thing and not for acknowledgment or convenience. When self-interest is outweighed by doing the right thing, integrity is developed. However, this doesn’t mean that self- interest can’t go hand and hand with having integrity. It may not seem like it but integrity is extremely important when it comes to maintaining a healthy and positive lifestyle both physically and mentally. We all know that pizza is the easy choice for dinner tonight, but is it the healthy choice for you and your family? Making the choice to cook a healthy meal is ultimately the choice to take care of your family and yourself. Setting a fitness goal and seeing it through is another great way a showing your integrity. Staying on track and doing what you promised yourself you would do helps with self-motivation. Plus, it helps others, including your friends and family. They will have a sense of respect from seeing you follow through with goals and this validates your integrity for yourself. There is a personal sense of euphoria when doing the right thing. Being positive with others and knowing that you are helping others because it’s the right thing to do is integrity. Taking care of your own personal self is a way to show integrity and help you build a positive mindset that will help others. In the long haul, you will notice that your level of integrity will have a direct correlation with your personal health. You only get one life, so make the healthier choices for you and your family today and this well help maintain the integrity in your health.